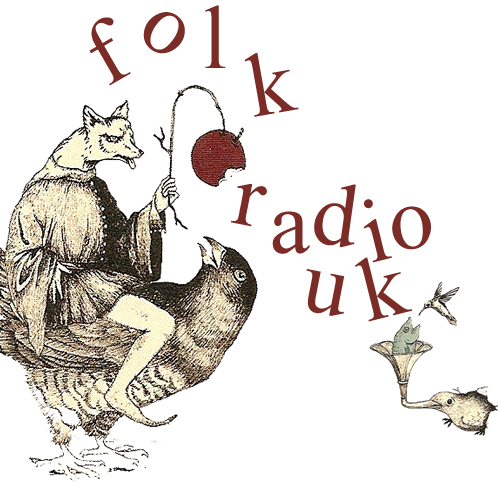 Just recovering from Pedal Folk IV and we had a nice surprise in the shape of an unexpected and lovely review on the Folk Radio UK website last week. Swindon exists roughly at the centre of an imaginary cross whose four arms connect four of the most important places in the life of poet Edward Thomas. To the northwest are the Cotswold hills, where he spent time walking and writing with friend and fellow poet Robert Frost. To the southeast is the village of Steep in rural Hampshire where he lived from 1906. East is London, his birthplace, and west are the Quantock hills, the subject he chose for his final book of prose, In Pursuit of Spring. Swindon was also home to the father of modern nature writing, Richard Jefferies, who was a great early influence on (and subject of a biography by) Thomas. So it is doubly appropriate that Pedal Folk should have chosen the town’s Central Library – home, incidentally, to an extensive collection of Jefferies’ works – as a venue on their In Pursuit of Spring tour. The premise is fairly simple. Three musicians and their bicycles follow the route taken by Thomas in his book, stopping along the way to perform songs taken from or inspired by it. Of course, traveling by bike does not allow for much in the way of luggage, so the choice of instruments if fairly small – a guitar shared between the project’s joint instigators Tim Graham and Robin Grey, a ukulele and the fiddle of Katie Stone-Lonergan. But the necessary simplicity in no way limits the range of material on offer. There are jaunty instrumental fiddle tunes (including a stirring Bath Carnival) and lusty shanties (tonight’s rendition of Santy Anna, a song Thomas loved to sing while traveling, gives Paul Clayton’s definitive version a run for its money). There are also a number of original compositions, among them Leaving London, which concludes with a spoken passage of Thomas’ prose. Grey – whose background is in pop rather than folk – emerges as an accomplished songwriter, throwing around cutting couplets and catchy hooks whilst referencing Leonard Cohen, Ani DiFranco and Weezer or eulogising his favourite inner-city vegetable-grower. Graham, more used to the folk circuit, is an excellent interpreter and re-appropriator of songs, with a hearty voice and an uncluttered Bert Jansch-esque guitar style. His spirited, unaccompanied Chiffchaff is one of many highlights, suggesting both the wonder of nature and the tragedy of trench warfare. Stone-Lonergan, who has played with the Proclaimers and west country favourites Port Erin, provides a clean, fizzing fiddle accompaniment and sweet backing vocals. The trio have an engaging between-song repartee, important in a show like this when a certain amount of background information has to be delivered. Their enjoyment and passion for the subject is obvious and unfeigned, and they take every opportunity to include the audience in the performance, notably in John Ball, a feisty sing-along originally penned by Lord of the Dance writer Sydney Carter. It is the kind of song that thrives in a live setting. In the folk tradition, nothing evokes the spirit of the great outdoors – and the spirit of the underdog – like a good poaching song. The best – Thorneymoor Woods, The Rufford Park Poachers, Van Diemen’s Land – manage in varying degrees to combine the romance of the sport with a serious message about class distinction and social upheaval, a message that would have appealed to Edward Thomas with his innate distrust of authority. So it is fitting that tonight’s performance ends with a stirring version of one of the best (and best-known) poaching songs, The Lincolnshire Poacher, a rousing favourite that manages to coax some singing out of the shyest quarters of the audience. This entry was posted in Gigs, Review and tagged central library, cycling, folk, folk radio uk, in pursuit of spring, Katie Stone-Lonergan, music, review, robin grey, swindon, thomas blake, tim graham, tour on June 9, 2014 by Robin Grey. Gosh, it is only a few weeks to go. Tim has made a lovely poster. We are both trying out our new cycling cleats and I am off to Swindon tomorrow for a cheeky rehearsal with Katie. Bring it on. Please note the change of Bath gig venue. The old place has closed down. 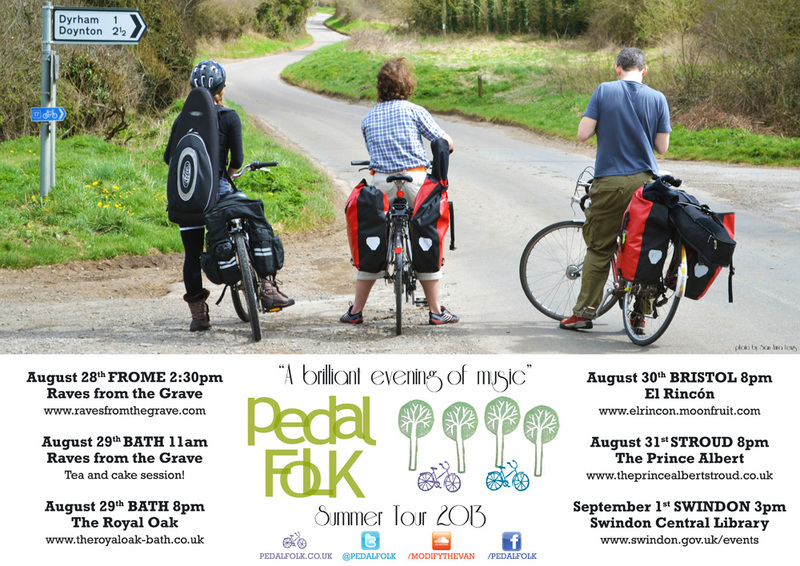 This entry was posted in Gigs, News and tagged bath, bristol, cycling, el rincon, folk, frome, gig, hurrah, music, nice poster, raves from the grave, somerset, stroud, swindon, swindon central library, the prince albert, touring, trad, violin on August 13, 2013 by Robin Grey. Ok, so Tim just got booked to play at Folk Weekend Oxford on Saturday 20th April which now means we are going to be heading east from Bristol stopping off in Swindon on the Friday night. More details about those gigs to follow but here is our current planned route. This entry was posted in News and tagged cycling, folk weekend, guitar, hurrah, katie, oxford, pedal, robin grey, swindon, tim graham, tour, violin on January 14, 2013 by Robin Grey.